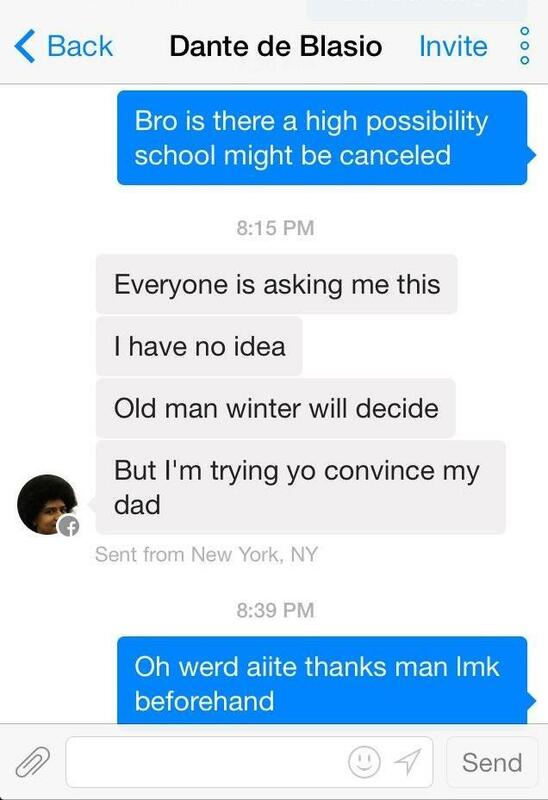 Other students reportedly asked Dante to lobby his dad for a snow day. Schools chancellor Carmen Farina and Mayor de Blasio decided early Friday morning to indeed cancel school after the snowstorm dumped nine inches of snow across the city. BdB on why he, not Dante, shoveling. Dante gets the walkway, Dad the sidewalk. Also, apparently being the beloved teenage son of the New York City mayor in 2014 means your every move will be documented on social media.